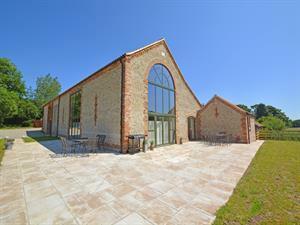 Ga Ga Barn is a beautiful brick and flint barn that has been converted into a stylish, very spacious property. The open plan living area is a super space to gather, and the games room will be popular with young and old alike, making this a super holiday location for families and friends. Ga Ga Barn offers weekly bookings starting on Friday.